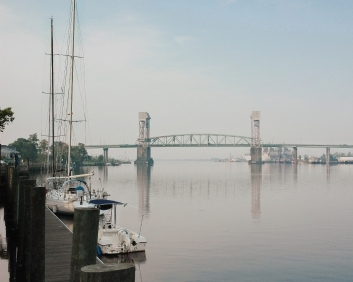 Wilmington is a fast growing city at the mouth of the Cape Fear River, on the Carolina coast. The city has a historic center and a mile long walk along the river. Many wonderful beaches are readily accessible. UNC - Wilmington makes this a college town. The population was about 90,000 in 2007. Mayfaire Town Center is the ultimate shopping experience in Wilmington. With over 50 stores including Ann Taylor, Banana Republic and the Sharper Image, Mayfaire has something for just about everyone. Unique shops and boutiques are scattered around downtown and the surrounding areas. The Cotton Exchange is located in historic downtown Wilmington, and is known for their 23 specialty shops. With more than 50 golf courses within an hours drive, golfers will find the type of course to their liking - public, private, semi-private. According to the NAR, the median home sale price was $246,900 in the last quarter of 2018. Zillow.com reports the median home value to be $223,200 during the same period. Places near the water and in desirable neighborhoods will be more. There are many active communities in the area (see link at right). Wilmington has the beautiful southern coast of North Carolina. It has a large university (UNC - Wilmington), access to the Carolina beaches, and many great communities for active adults to live in. Its one mile long Riverwalk on the Cape Fear River is a major tourist attraction. The downtown has an extensive historical area. It is hot and humid in the summer. Parts of the downtown have urban type problems. Many who have visited or move here are unhappy about crime, racial tensions, traffic, and uncontrolled growth. 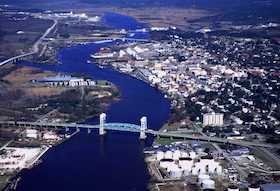 Wilmington is in southern North Carolina, near the Atlantic Ocean and Cape Fear River. The average high in July is 90 and the average January low is 36. The crime rate is much higher than the U.S. average.